Realistic landscapes by Vladimir Alexandrov. Russian, Moscow based artist Vladimir Alexandrov was born in 1972 in Cheboksary. In 1991, he graduated from the Cheboksary Art school, then Moscow State Academic Arts institute named after V.I. Surikov, faculty of painting. He studied in the workshops of professors A. I. Fomkin and V. N. Zabelin. Vladimir Alexandrov became the Member of the Union of Artists of Russia in 2003. 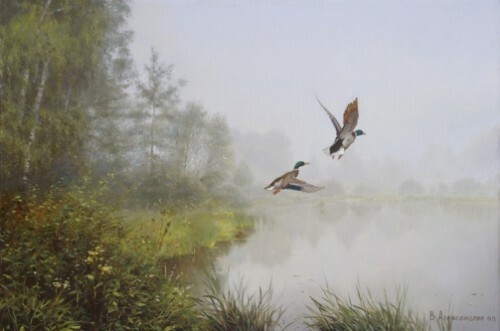 In his works he uses centuries-old traditions of Russian realism. Native landscapes of Russian nature created by Alexandrov are incredibly soulful. Alongside with landscapes, the artist works in such genres of painting as realistic portraiture. He paints portraits of famous and ordinary people, children and adults, as well as copies of paintings of old masters. Since 1994, Vladimir Alexandrov has participated in many group and solo exhibitions in Russia and abroad, including Basel (1994-1997, Switzerland) and Santa Fe (2004, USA). Talented contemporary Russian painter Vladimir Alexandrov lives and works in Moscow. 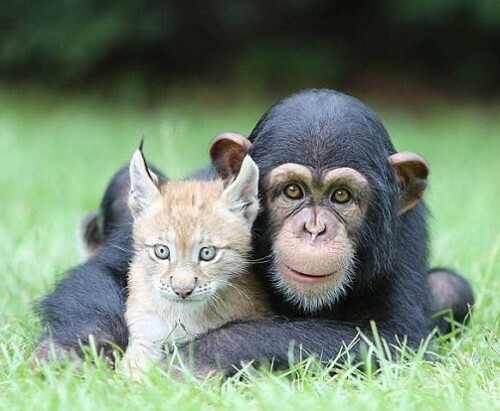 Best friends chimpanzee Varli and lynx Sutra. 20-month-old chimpanzee Varli and nine-week-old lynx Sutra live at at Myrtle Beach Safari in South Carolina. The friends are inseparable spending their days chasing each other around the wildlife park, having a cuddle and even sleep side-by-side. Director of the park, Dr Bhangavan Antel, told The Sun: ‘It’s a natural friendship. Varli gives Sutra the ability to have so much more adventure. He lives with him around the clock.’ In an unlikely match, a baby chimp and a lynx cub have become the best of friends. Kittiwut Chuamrassamee is a talented amateur photographer, accountant by profession, who graduated from the University. Kittiwut Chuamrassamee is from Bang Phli, Samut Prakan, Thailand, but currently is living in Bangkok. Although he has been photographing for three years, he has already got an award for his skills. Besides, these breathtakingly beautiful images of landscapes were featured in travel guide and tourism magazines. 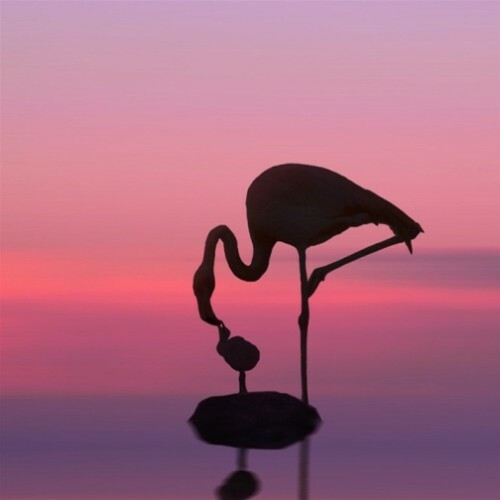 The self-taught photographer captures amazing scenery, minimal and poetic, rather like a fairy tale than a reality. Kittiwut Chuamrassamee has traveled to many beautiful places of his native land where he found inspiration for his work. The motto of Kittiwut Chuamrassamee “My life is a Journey”. 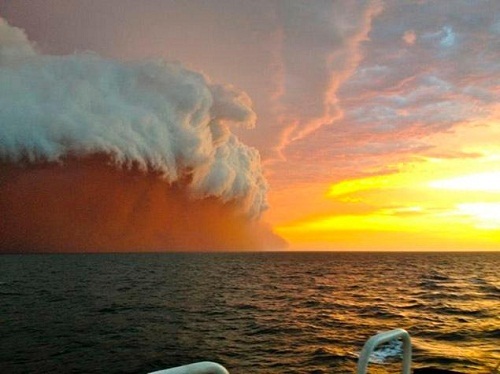 Meteorological phenomenon Sand storms can turn the green continent into a yellow alien like planet. If not to take into account it is a desert area. More unusually, when it occurs in a town on the coast. For example, in Sydney. Four years ago, Sydney was suddenly covered with yellowish-red sand. The event was out of the ordinary, inspired people to take shots, make whole photo projects dedicated to that event. For example: «Red Dust» and «The Red Sydney Project». All photos were taken on September 23, 2009. The city really looked like some unknown Martian metropolis. Most beautiful tunnels in the world. 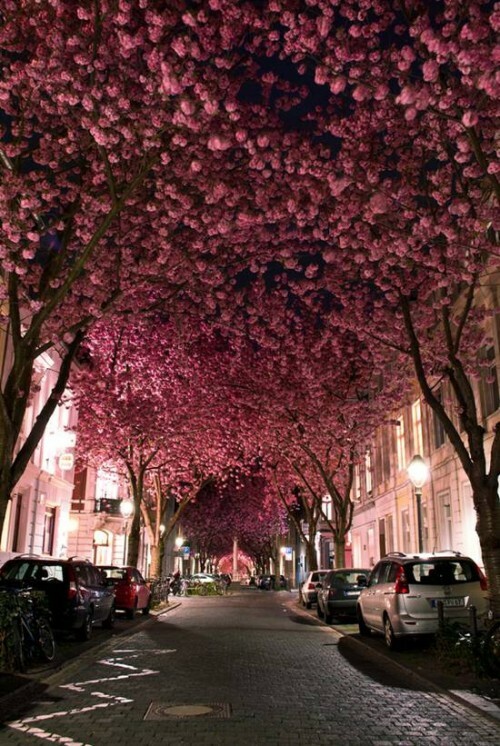 Tunnel of cherry trees is located in Bonn, Germany, it is definitely worth visiting. Flowering Cherry blossoms create amazing pink archway for 7-10 days, depending on the weather. Many of us, especially those in large cities, sorely lacking of the life of nature. Therefore, it is extremely pleasant to stroll in the fabulous living corridor of twisted trees, whether it is a street in the center of the bustling city, the park or forest. Let’s look at the top ten most beautiful tunnels of trees from around the world. Some of them are created naturally, others – with the participation of men, but they are all equally beautiful. 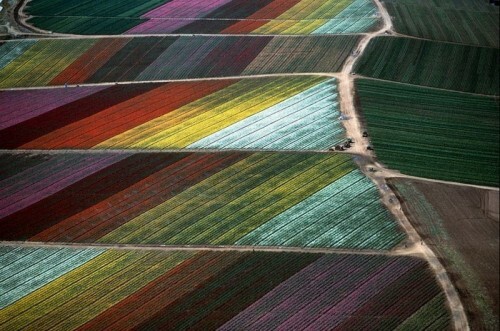 Aerial photographs of Alex MacLean. American photographer and pilot Alex MacLean has flown his plane nearly over all the United States, taking beautiful pictures of landscapes, industrial panoramas, and cityscapes. He is one of the most popular in the world aerial photographers. Alex McLean studied architecture at Harvard University’s Graduate School of Design, and this perhaps explains his passion for lines and colors. He exhibited his photographs in the United States, as well as abroad – Canada, Europe, Asia. Many of his photographs are in private, public and university collections. Besides, for his work Alex MacLean has won numerous prestigious awards. MacLean maintains a studio and lives in Lincoln, Massachusetts. MacLean is the co-author of several books, including Over: The American Landscape At The Tipping Point, a visually stunning catalog of the extraordinary patterns and profound physical consequences brought about by humans and nature. Lake Shaitan and floating islands. One of the most unique and beautiful lakes in Russia – Lake Shaitan, located about 39 km from the city of Urzhum, Kirov Oblast. The lake has a karstic origin, depth up to 25 meters. The Lake Shaitan is fed by underground water. A unique phenomenon – drifting on the lake island, with growing bushes and small trees. The islands can support the weight of several people. Another unique feature of the Shaitan lake in the emissions of fountains and water columns. Columns are available in various heights (up to 10 m), the emissions are irregular. Locals say that the emissions are in the winter, leaving the rearing sticking up thick ice floes.